Daryl Shute, brand director at Magic Light Pictures, discusses the history of the brand, what to look for in a licensee and how to keep a brand relevant, fresh and successful for 15 years. Can you give me a history of The Gruffalo and its successes? The Gruffalo is celebrating its 15th anniversary this year and since it was first published in 1999 by Macmillan Children’s Books, and the much-loved story has continued to delight children and adults the world over. 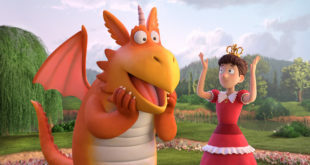 Selling 13 million copies, translated into 52 languages and voted the nations favourite bedtime story by Radio 2 listeners, both titles were made into award-winning animated specials by us, Magic Light Pictures, in 2009 and 2011, and we have also since grown The Gruffalo into a successful family brand. Supported by a musical stage adaptation and our broad, cross-category licensing program, The Gruffalo is now establishing itself as a long-term classic brand. What is the demographic for the property and who are you targeting with licensing? The books are enjoyed by two to seven year old children and as much by parents, carers and grandparents so the program targets a core audience of three to six. We’ve always had focused lines for the gifting market as well as plush, toy and paper products. It is key that story is enjoyed by boys and girls, so we always look to offer a range of product that appeals universally. How many licensees do you have on board for The Gruffalo, and in what categories? Since we launched the licensing program to UK retail in October 2009, we’ve had up to 35 licensees on board but have levelled comfortably with 28, including six DTRs. We have a strong programme now, from apparel and bedroom furniture to toys and games, including stationery, outdoor and ceramic gifting. Internationally we’re working with an additional 25 licensees and specified distributors across the same categories and this area of the programme continues to grow steadily. How do you pick your licensees? We always look for quality – quality and integrity are the core values that we have at the heart of Magic Light’s family brands – and a partner that will bring something different to market. 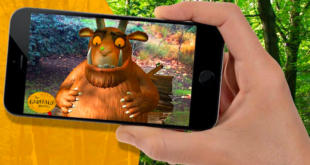 We don’t like to roll The Gruffalo out across an entire catalogue of existing products, our approach is much more measured and creative, so we look for licensees that will think of unique and exciting ideas. A number of our early licensees hadn’t considered a licensed property before but felt Gruffalo was special enough to give it a go: Aurora World, Trunki, Briers, United Oddsocks, Their Nibs to name a few. Our UK licensing agent, TLC, has been instrumental in finding the right partners and establishing long term relationships with our licensees. What are the main challenges with managing The Gruffalo? We’re conscious that the brand is built around two picture books and subsequently two supporting films, and while these form a great springboard to get people engaged with the brand, we want to make sure it lives on beyond the page and the screen. We’re incredibly lucky to have that loyal audience of parents, educators and children that have handed this magical tale and character to the next generation over the past 15 years, and hopefully will continue to do so. For the licensing programme, new and fresh product is a priority and we continue to manage the distribution channels so there’s never the feeling that Gruffalo is everywhere at once. A lot of time is invested in maintaining relationships with our retail partners, hosting in-store events with costume characters and story readings and working on DTR ranges so as to offer something fresh and different for each. The Gruffalo is now 15. What is the secret to keeping a brand relevant, fresh and successful for such a long time? The original picture book is 15 years old. But it has only been five years since the beginning of the Gruffalo brand, since we started building it up, so in many ways we’re still only starting out. 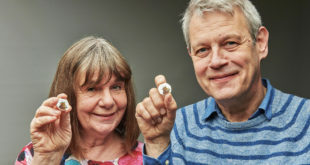 But the book has stood the test of time and that’s testament to the creation of something incredibly special, such beauty in the rhythm of Julia Donaldson’s rhymes and wonderful depth and detail to Axel Scheffler’s illustrations. In this anniversary year, we are looking to build on the continuing success of The Gruffalo brand, focusing on its grass roots values – creativity, imagination, storytelling, outdoor learning and exploring nature, and the importance of reading and literacy. We’re developing great relationships with organisations such as the Forestry Commission, National Literacy Trust and the Eden Project where we can bring these core values together. What has changed most about the licensing industry during that time? And how has this impacted the brand? I would say that two major changes are to do with the way in which we work more closely with retailers and the growth of smart strategic thinking at the heart of brand management. 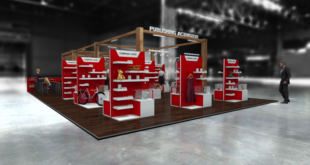 There is certainly increased competition for shelf space but also more attention is now paid to establishing and nurturing retail relationships. There are fantastic opportunities for working with retail to create interesting in-store events and exciting DTR product ranges. There is also an integration of thinking from conventional brand theory to take account of the core relationship between a brand and its followers. We have developed a greater understanding of the role of on-going brand marketing and the need to create a range of opportunities for consumers to engage with their favourite brands. In general, brand owners need to be more strategic and creative in their thinking, to continually find new ways in which their brand can be made to stand out from the clutter – whilst always remaining true to the core values. What are the most recognisable aspects of the brand? When people think of The Gruffalo, what comes to mind? We would like to think that people see everything associated with the Gruffalo as a quality offering. Our values when establishing the program were ‘enchanting, charming, involving, imaginative, magical, quirky, irreverent’ as these are the emotions conjured from reading the book, which is without a doubt a special experience. So everything we do, whether it be the original animation approach taken to produce the half hours, to how carefully considered each and every piece of merchandise is, to ensuring that any activity or event that carries the Gruffalo name delivers an imaginative and engaging experience we always look back to the book and think, ‘how can we continue to match that?’. How do you capitalise on these features in the licensing programme? The Gruffalo licensing program has extended the brand with high-quality products that share the charm and wit of the storybook. The collection is focused on engaging young imaginations, celebrating the power of storytelling and encouraging learning through imaginative play. Each item is carefully considered, as much now as it was five years ago when the merchandise launched, so the character connections and the use of the marvellous phrases relates directly back to that specific moment in the pages of the books. What are the best selling The Gruffalo products? Plush has been our best seller from the beginning. Aurora World instantly captured the essence of the ‘loveable monster’ in the first sample and across all their formats they continue to offer exceptional quality and originality with the range. Close behind this are the apparel ranges, driven by our close retail partnerships. Followed games, puzzles, stationery and the gifting ranges. In this anniversary year, we are looking to build on the continuing success of The Gruffalo brand. We have a range of activities up and down the country focused on continued engagement with the next generation of children. We will be celebrating The Gruffalo as a much-loved children’s property, and establishing as a long-term classic brand.